2 to 5-piece, 3x1 hour sets. Recorded music in breaks unless playing acoustically only. 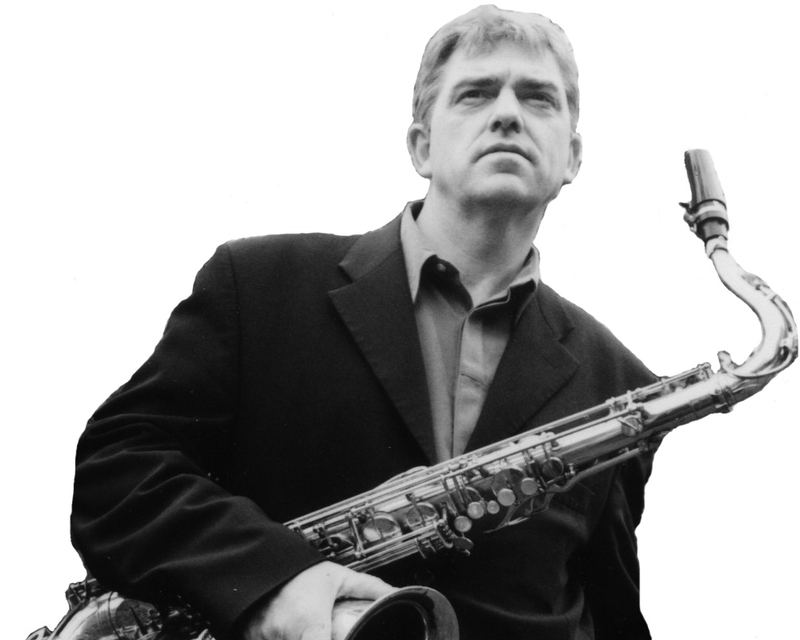 From the first notes of his demo tracks it is clear that Chris Gumbley really knows how to play his instrument, whether it be his cool sax or his smooth, swinging clarinet. This is not surprising – Chris teaches at the Birmingham music conservatoire, is an external music examiner and his busy career as a performer and session musician recently included touring as backing sax player with soul legends The Four Tops and The Temptations. Chris’s musicianship is not restricted to his technical proficiency, he is also able to play in a particularly wide range of jazz styles, from “trad”, through swing and be-bop, to the funky sound associated with players like Grover Washington Jr and Kenny G. This means that he can create a wide variety of moods for parties and receptions of all kinds, and can play music that will be familiar to guests of all ages and of all musical tastes. Indeed, Chris’s repertoire includes literally hundreds of the classic “standards” of the 20s, 30s, 40s and 50s, written by masters such as George Gershwin, Rogers and Hart, Cole Porter and Irving Berlin, along with modern jazz originals and funk/fusion hits. The bands featured on the demo tracks are a quartet of Chris with keyboard, bass and drums; and a duo of keyboards plus Chris on sax and clarinet. Our quoted price is for the duo but Chris can provide a trio (sax, keyboard, bass), quartet or larger band adding singer and/or trumpet. The band normally plays for about three hours over a four-hour period and the price includes a PA system suitable for providing music for gatherings of up to 80 to 100 guests. A PA system for a larger audience can be provided at extra cost. Chris Gumbley is based in Staffordshire. See Pricing for details of travel costs, etc. "Please pass on our thanks to Chris and his fellow band members. Charming people and great music! They were perfect and our guests were very impressed. So helpful, too; Chris waited while we made our speeches and let us use his sound system. We would definitely recommend them. Many thanks." "I am writing to let you know how satisfied we were with the Chris Gumbley Quartet at our golden wedding anniversary celebration this last week-end. I must say that the quartet played perfectly to our requirements in terms of music played, style, and volume. They are obviously highly accomplished musicians and I suspect that our modest requirements would not mean the most exciting evening for them, but for us they were perfect. Many thanks to you, and them, for helping to contribute to a wonderful evening for my wife and myself." "The band was excellent and Chris was very approachable - he also judged the mood(s) of the evening perfectly. Our sincere thanks to all of you."